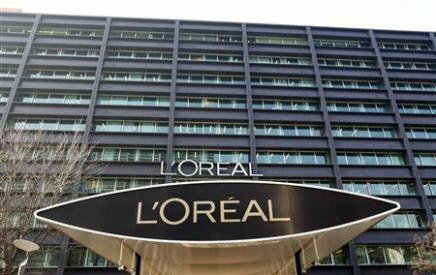 PARIS, 27 March 2009 (AFP) – The leader in global cosmetics L’Oréal announced on Friday March 27 that it would reorganise its luxury products divisions and transfer the work currently done in a Spanish factory to its sites in the north of France. An international logistics centre will also be built in Roye (Somme). L’Oréal, whose luxury arm was bolstered in 2008 with the acquisition of YSL Beauty and PPR, will elsewhere merge the production sites of YSL Beauty at Neuilly-sur-Seine (Hauts-de-Seine) and the luxury products division at Levallois-Perret, where the jobs of 85 people will in effect be doubled. A spokesperson assured that there would be “no redundancies in France”. From the industry’s point of view, the project, presented on Thursday March 26 to employees, is a plan to construct “a European centre of excellence” in the north of France, according to one press release. The plan is to open the 40,000 metre square global logistics centre in Roye at the end of 2010 and it will be responsible for shipping products manufactured in Lassigny (Oise, 874 employees), Caudry (Nord, 560) and Gauchy (Aisne, 277) throughout the world. It will also transfer the production from the Spanish site in Albesa (192 employees) to its three French sites, though a spokesperson stated that it could not promise at this moment that new jobs would be created. Albesa is the only other European site that produces luxury goods for L’Oréal. Once its work has been transferred the site will be transformed into a logistics centre for the Spanish market. It is believed that “a large proportion” of its employees will be able to carry on working there, said the spokesperson. L’Oréal employs 63,400 people worldwide of which 13,000 are in France and 2,550 in Spain.